Designs that live with you. We are Knape & Zibell: A Denver-based boutique interior design firm dedicated to creating spaces that enhance your everyday, and transform the way you interact with your home. 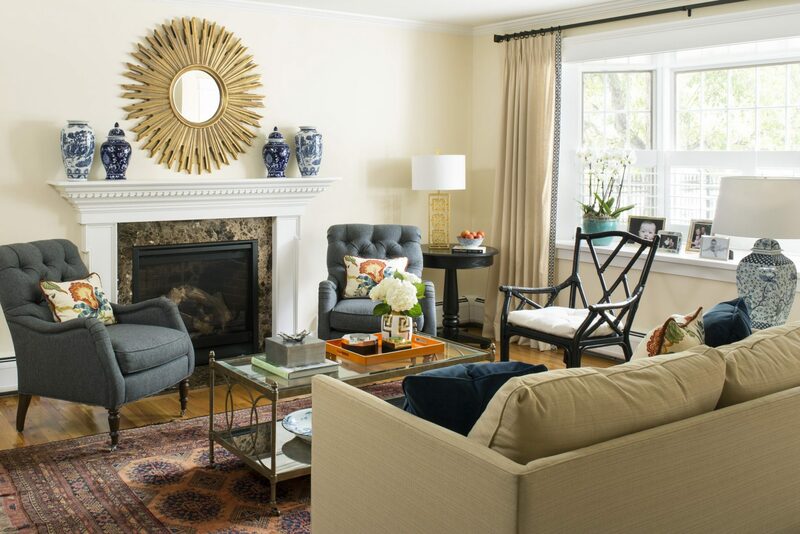 Our philosophy embodies thoughtful, meaningful design with your lifestyle at center of the conversation. We revel in the potential an empty space holds, and love the process of imbuing it with beauty and function. Our style is a blend of classic interior design elements with a fresh and expressive twist that allows the design to take center stage. As your partners, we look forward to meeting you, knowing you, and forging a home that you and your family will love for years to come. The result is a home that is a beautiful reflection of you. I was introduced to Knape & Zibell when I purchased my mountain townhome in Avon, CO. My project was to completely paint and decorate a 4-bedroom, 3-bath, 2500sqft townhouse. Mary and Kelly guided me in choosing fabrics, furniture, pillows, art, rugs, mirrors and all accessories. They were extremely detail oriented, budget conscious and were a joy to work with, always keeping my vision of a Swiss mountain-like getaway at the forefront of their design approach. I Highly recommend and am working with them again on my home in Iowa!